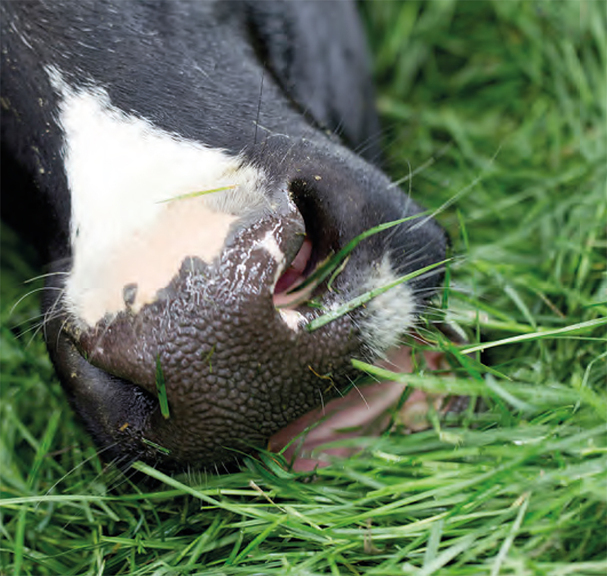 Choosing grass mixtures is all about balance, says Limagrain’s John Spence. New research has enabled plant breeders to test grass quality in more depth and provide nutritionally balanced mixtures. Farmers are careful to balance cows’ diets when they are housed over winter – and they should be doing the same when choosing which grass mixtures to grow, according to John Spence, seed sales specialist at Limagrain. Until recently, that has been quite hard to do, but new research has enabled plant breeders to test grass quality in more depth and provide nutritionally balanced mixtures, leading to improved milk production at minimal cost. Analysis techniques like near infrared spectroscopy are now being used more widely to provide in-depth feed quality and comparative data across the whole growing season. This additional testing on grass varieties means feed quality can be more accurately determined. Plant breeders can therefore develop mixtures which offer not only good agronomic features, but which also have the potential to improve feed quality and promote more efficient milk production. Limagrain Animal Nutrition (LGAN) accreditation is only added to varieties and mixtures which are proven for their efficient production and contribution to animal performance, says Mr Spence. Fibre is needed in the diet to maintain a healthy rumen, but varieties with low levels of DNDF slow down the digestion. “If we can increase DNDF in the diet, then feed efficiency is boosted and this can lead to improved yields,” adds Mr Spence. Research from Michigan State University has shown that even a 1% increase in digestible fibre leads to a 0.17kg/day improvement in intakes and 0.25 litres/day more milk. When putting together a mixture with feed quality in mind it is all about finding the right balance between fibre, protein and sugar content. “Some grass varieties will be high in sugar but low in protein, while others will be high in protein and low in digestible fibre – you’ll never get one variety which offers the best of every world,” says Mr Spence. JLimagrain has developed grass seed mixtures which have the LGAN accreditation with a range available through its Sinclair McGill portfolio. These comprise a dual-purpose silage and grazing mix; an intensive grazing mix formulated to maximise voluntary intakes; and an extended grazing mix which includes a New Zealand variety, Matrix, to give a longer grazing season. The silage options comprise a high energy mix or a high protein mix featuring red clover to reduce the need to feed supplementary protein in the diet. Although the Recommended List (RL) does focus on the agronomic features of different varieties, it does not contain much information about their nutritional profile – but independent trials in the UK and further afield have produced some exciting results. “We’ve found there is a big variability between varieties: A range of 1.2MJ of ME/kg, a 5% difference in sugar, protein content and D Value, and a 10% variance in digestible fibre,” Mr Spence explains. Trials conducted at NIAB TAG, Dartington, Devon, compared popular grass mixtures containing RL varieties with the LGAN Intensive Grazing mix. Results revealed that the Intensive Grazing mixture produced 10% more energy (see table, above) than the control. The yield was 0.9 tonnes/ hectare higher, at 11.3t/ha, and the nutritional quality was better across the board. Unlike the RL trials, where forage quality is determined from just two cuts, the Dartington trials measured forage quality at all cuts throughout the growing season, thereby demonstrating the growth profile of the different mixtures. “The Intensive Grazing mix delivered up to 140MJ/ha more energy – equivalent to 26 litres of milk,” he explains. Animal feeding trials at Schothorst in the Netherlands have proven the link between improved grass nutrition and higher milk yields, comparing a conventional dual-purpose grass mixture with a nutritionally balanced mixture. The LGAN grass seed mixture had a 3% higher ME and D Value, at 12.8MJ and 79.7%, respectively. DNDF was 8% higher, at 77.9%, with feed efficiency up 5% to produce 1.30 litres of milk per kg of feed. Selecting improved grass seed mixtures is important, but grassland management – in particular a reseeding programme – is crucial to grassland feed efficiency. 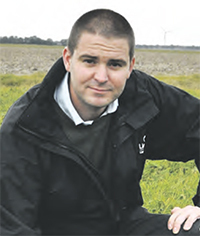 “Farmers have been reluctant to invest in reseeding when margins are tight. But poor grass from old swards holds back grass quality and production,” warns Mr Spence. According to Defra’s land use survey, the amount of temporary grass (under five years old) reduced from 1.396 million hectares in 2014 to 1.145m ha in 2016. Research by Shalloo et al (2011) showed grass utilisation increases proportionately to the amount of the farm reseeded each year, and net profits track the rising utilisation (see graph, below). “The older a ley, the lower its dry matter yield and the poorer its quality,” he says. Based on AHDB Dairy data, a two-year-old ley yielding 13.5t/ ha at 12MJ/kg ME will drop to 11.2t/ha and 11.5MJ/kg by year five. By year 11, this will have dropped to just 7t/ha at 10.8MJ/kg. When assessing pasture, farmers should consider reseeding if productivity has fallen, the proportion of sown species is below 60%, there is a high weed burden, or significant evidence of compaction. Getting more milk from grass is all about farmers changing their attitude, according to independent nutritionist Diana Allen. The two most important elements are measuring and monitoring grass growth and quality, so farmers should start by investing in a rising plate meter and a grass management programme, advises Mrs Allen. Farmers should plan to reseed a certain proportion of their grassland each year, and then monitor pasture to check whether it needs replacing yet or not. When choosing grass mixtures, it’s important to realise that grass breeding has moved a long way in recent years, she adds. In general, plant breeders have moved either towards high sugar grasses or highly digestible grasses, and Mrs Allen suggests using a mix of different varieties to balance the quality and spread the risk. Farmers should also choose grass mixtures based on their own production system and whether the pasture is destined for grazing, silagemaking, or both. Getting more milk from forage is possible, and highly influential on the bottom line, whether the system is fully housed or extensively grazed, she adds. The important thing is to treat grass like a crop, and consider its nutritional benefits in the same way as silage in a ration. Decent grass producers will consistently achieve 12MJ/kg ME at 17-20% protein throughout the grazing season, while a good silage target is 11.5MJ/ kg ME at 16% protein and with a D Value of 72-73. 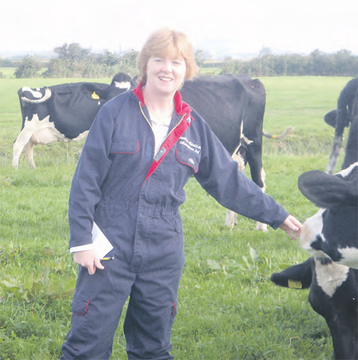 Farmers should take advantage of the latest grassland research and new developments, she adds.